Over the summer, I have been working on creating my Charlotte Mason consulting services and what a joy it has been as I have encouraged and supported over ten ladies during a short period of time. From these consulting phone calls, I was hearing common questions for their unique family. 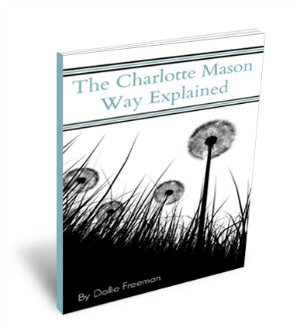 As I contemplated these questions, I realized that an ebook would be a great way to explain the Charlotte Mason way, while sharing how I have implemented this method into the 13 years that I have used this proven method to teach my children from preschool through high school. My desire in writing this ebook was to answer those nagging questions that many homeschoolers have when starting the Charlotte Mason way with their own children. By sharing my personal experience and what works for my family when implementing the Charlotte Mason way will open up the opportunities of how you can easily start using any of her proven methods. This ebook will enhance how you homeschool with the Charlotte Mason method and give you the confidence that you can do well to educate your own children. Get it now for only $6.99! PLEASE NOTE – your link to your ebook will be found in the email that is attached to your Paypal account. If you don't see it, check your spam folder, because some email providers have it go in there.